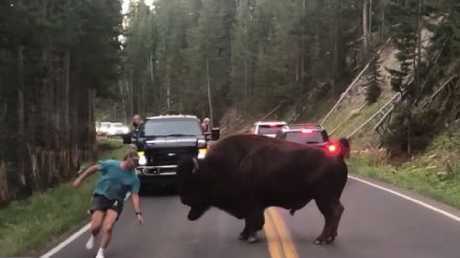 A man was captured on mobile phone video taunting a large bison in Yellowstone National Park in the US state of Wyoming this week, according to the New York Post. 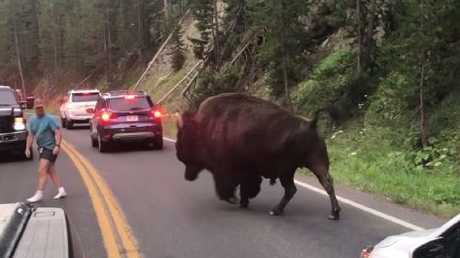 In the less-than-one-minute-long clip taken Tuesday by bystander Lindsey Jones, a shorts-wearing man beating on his chest is seen approaching the ungulate on the two-way road in Hayden Valley. 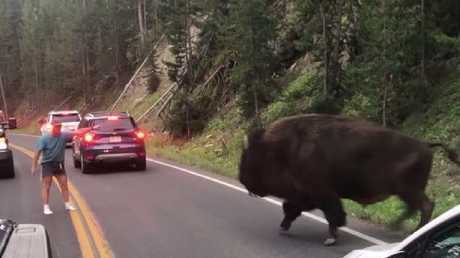 The bison - some of which can weigh up to 900 kilos and stand 1.8 metres tall - is having none of it and promptly charges at the man, video posted to YouTube by KRTV News shows. 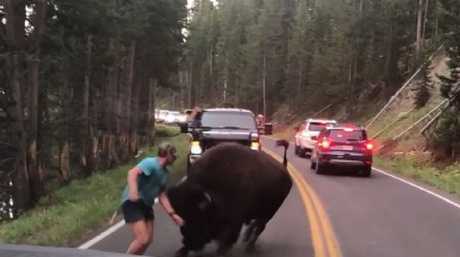 "Oh God, I can't watch," a person can be heard saying in the video as the bison charges the man for a second time. 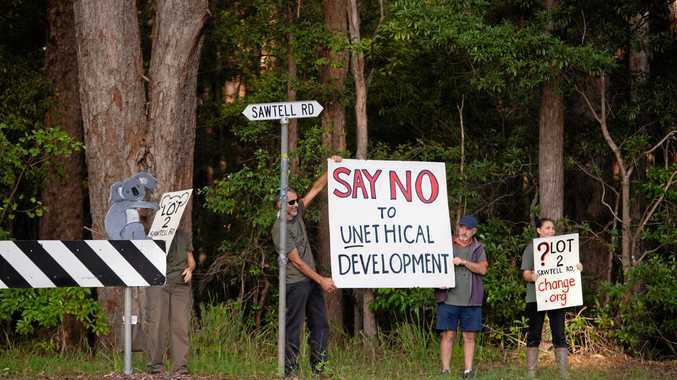 Another person can be heard imploring the man to "Get out of there!" 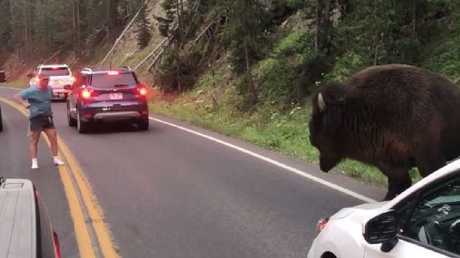 The man and the bison eventually go their separate ways before the clip ends. In a warning message on the National Park Service's official website for Yellowstone National Park, it says, "Wild animals are unpredictable and dangerous." "Every year people are injured when they approach animals too closely. Animals that attack people may need to be relocated or killed," the website says. The National Park Service advises that visitors "always remain" at least 100 yards (about 90 metres) from bears or wolves, and at least 25 yards (20 metres) away from all other wildlife. This story originally appeared in the New York Post and has been republished here with permission.